Let me introduce to you Sarah Kinghorn, a Sydney based professional career nanny specialising in infant and travel care. 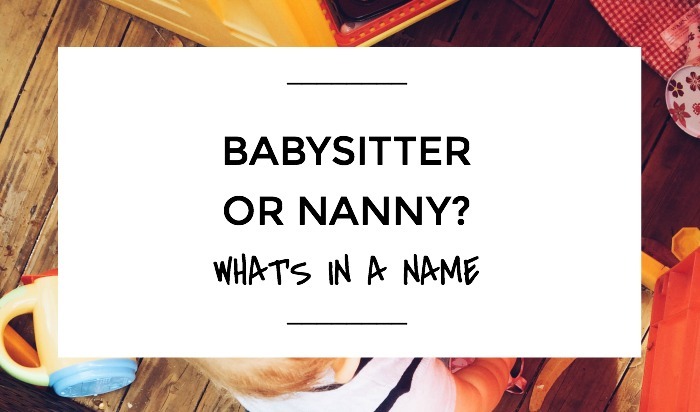 Sarah is making her debut on NANNY SHECANDO with a piece about what’s really in a name, and does it matter if one calls you a babysitter or nanny? To see more of Sarah, you can click here. This statement is like adding bi-carb soda to vinegar and detergent – major internal fizzing. So many thoughts rush through my head. >>> If I said I built cars for a living, would you equate that to working at the car wash? >>> Of all the terms to describe being paid to care for children, how is “babysitting” the one that gained traction? >>> I tried sitting on babies, but the baby bit me and I called it quits. I catch myself, though. After all, I am so fortunate to have found a career where the work feels like play, where I contribute to the wellbeing of individuals and to the wellbeing of society, where love is a valid and integral part of my working day. I remind myself that because I found my dream career early in life, I did not have to experience jobs that would not suit me, corporate jobs big on ambition and low on appreciation, medical jobs where one slip could cost a life, legal jobs where I may have to put aside my beliefs and values. This means I do not understand what other jobs are like, what other job titles mean. I once worked for a psychiatrist. It took time for me to cement in my mind that she was a psychiatrist and not a psychologist, because although I knew there was a difference, I had no experience with matching the correct label to the correct career. If I ever used the wrong title when talking to her, I certainly meant no offence. “I’m so lucky to have a career I love. Nannying is very rewarding”. I ask what they do, and try to learn a little more about the mysterious other jobs that involve tea breaks instead of tea parties. Often, I find they ask more questions about what I do. My job is exotic to them, though perhaps not a job they would want for themselves. I take each question as it comes and try to answer it honestly. My working day can be filled with mess and chaos and the absurd, and pretending otherwise doesn’t do the nanny industry or the industry of childhood any favours. I defend my bosses from accusations of laziness and disinterest and pomp and praise their efforts both inside and outside the home. In fact, I make a mental note to give my bosses this praise directly the next time I see them, and to thank them for respecting me as a professional. I hug the baby I care for extra tight, for seeing me not as a babysitter, not even as a nanny, but as one of the cornerstones of her life. I check in with my nanny friends, and try to slip in a comment about their important work. Picasso, Michelangelo, Cezanne – painters. The wall-painter, the subway vandal, the child who makes the fridge his gallery – are they not all painters, too? Each is defined by their works, not by their title. Perhaps some would prefer “artist”, or a specialist term of their own creation, but society as a whole will still put them in the painter box for easy filing and reference. When I get caught up in declaring that I am an artist rather than a hobby painter, I have to come back to my nanny origins. By definition, I started as a babysitter. I would not be where I am today, taking my pick of the jobs, being paid to travel the world, if I had not first babysat. Those parents and those children have given me gifts I can never repay, and if the consequence is being occasionally mislabeled, I will wear that mistaken moniker with pride. I truly believe, the more we individual nannies make a name for ourselves, the more we can define our shared professional name. What’s in a name? Sometimes, not as much as we think. 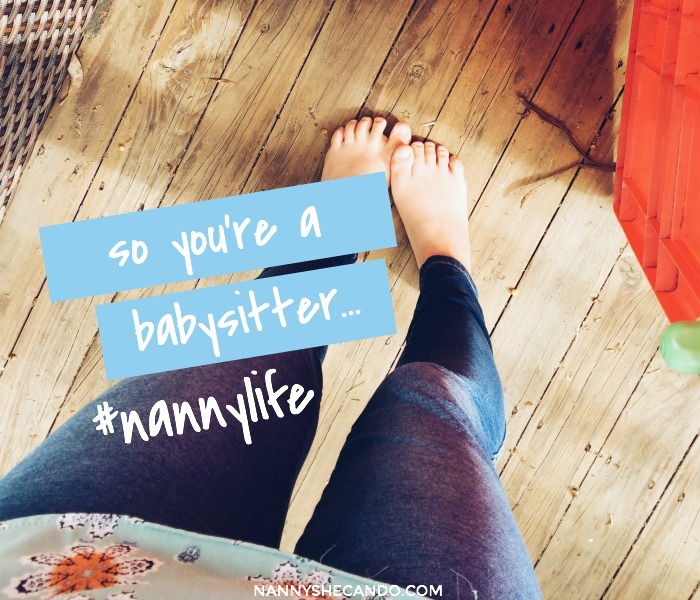 >>> How do you respond when called a babysitter?